How do you provide power to spacecraft in the deep reaches of space far from the sun? For the past 50 years the United States has been using radioisotope thermal generators (RTG). Deep space missions using RTGs include the Voyager Spacecraft that was launched in 1977 and is currently still transmitting data from distances far beyond Pluto. More recently the New Horizon’s spacecraft was launched in 2006 has just flown by Pluto offering the first images of the dwarf planet close up. RTGs were used on the moon during the Apollo mission with astronauts, the Curiosity rover, the Viking Mars Landers and more. The United states has launched around thirty spacecraft and landers that have used RTGs to for electricity and heat. How do RTGs work? RTGs have two main parts. First is the radioisotope which produces heat through radioactive decay. 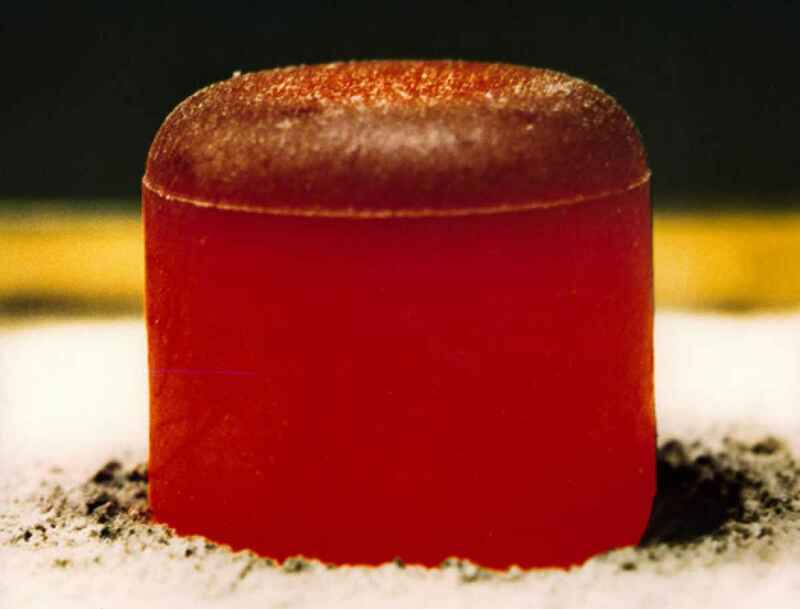 There are many different isotopes with different amount of heat that are generated from them.Plutoninum-238 (Pu-238) is the ideal choice for most space missions because it produces a steady amount of heat and a half life of 87 years. The half life is important because a radioisotope must last long long enough to complete the mission. A half life of 87 year is nearly perfect because it will take a few decades before the isotope begins to decrease much in power. The video below shows an interview with Stacy McLaughlan a scientist at Los Alamos National Laboratory who worked on the New Horizons radioisotope power system. She talks more about Plutonium 238. The second piece of an RTG is the part that converts the heat from the radioisotope and turns it into electricity. Traditionally we have used thermoelectric devices to turn that heat into power. In the video below Jean-Pierrer from NASA JPL talks about have a thermoelectric device works. NASA JPL works on the design of thermoelectric generators which they call the Multi-mission RTGs because of the wide rage of operation conditions that they can be used in. RTG’s don’t produce a lot of power. RTG’s provide approximately 500 watts per kilogram of thermal power. The RTG uses something called a “thermoelectric generator” which provides electricity by connecting a wire across two different metals which are at different temperatures inside the RTG. About 5 percent of that power is turned into electricity by the thermoelectric generator. The Mars Curiosity rover is powered on 110 Watts of electricity which is about the same as a laptop. Despite this seemingly low number, RTGs have been used successfully. Can you believe that the Voyager spacecraft is communicating from a distance 3 times further away than Pluto with only 300 Watts (3 laptops) of electricity? 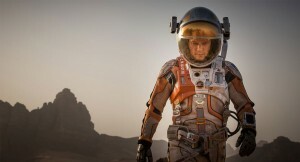 Mark Watney the center character from the Movie the Martian. Credit 20th Century Fox. 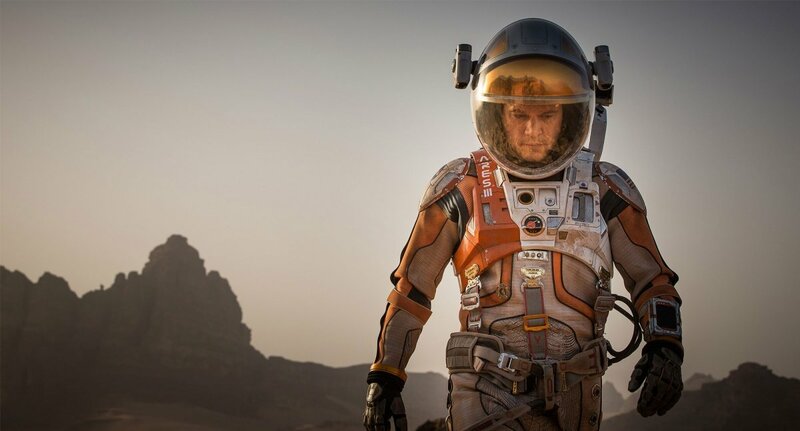 In the recent movie “The Martian” the RTG made a star role in helping the fictional character Mark Watney survive on Mars. In the story an RTG was used in the process of making Methane rocket fuel for the Mars Ascent Vehicle or MAV. After Watney is thought to be dead and left on Mars, he recovers the RTG and uses it to provide heat in his rover as he makes his trek across Mars to reach another rocket left for the next mission to Mars. The portrayal of how Mark uses the RTG seems accurate. Looking at the RTG used on the NASA Curiosity Mission, it provides around 2 kW of heat. This corresponds to approximately 2 hair dryers of heat and could have kept Mark warm during his extended rover trip across a few thousand kilometers across Mars. RTG’s do produce a lot of radiation, but luckily that radiation as described in the section above is safely contained inside the RTG. Mark Watney would have had to have really damaged the RTG for it to pose a serious risk of inhalation or ingestion of radioactive material. The way that Mark Watney used the RTG was accurate. RTG’s do produce some amount of neutrons and gamma particles that aren’t as easily stopped by the RTG material, but there are only small amounts of these types of radiation from the Pu-238 RTG. So it would be wise to try to minimize contact with the RTG, but it wouldn’t be enough to cause immediate health problems for Mark. There is some hope to restart production of Pu-238. Recently Oakridge National Laboratory was mandated by congress to restart the production of Pu-238 producing around 1 kg per year. That would mean that there will be enough Pu-238 to complete one to two major missions every ten years. The next RTG powered NASA project is the Mars 2020 rover which is a twin of the Curiosity rover. It will use around 5 kg of Pu-238.